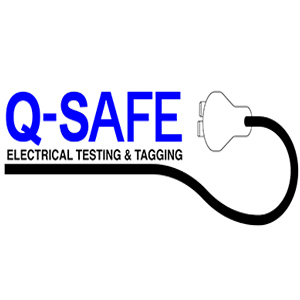 We provide testing and tagging services to almost all industries where electrical equipment is used. Including: Port Melbourne, South Melbourne, North Melbourne, East Melbourne, West Melbourne, Sunshine, Keilor, Tullamarine, Airport West, Campbellfield, Craigieburn, Somerton, Epping, Thomastown, Reservoir, Lalor, Bundoora, Greensborough, Broadmeadows, Essendon, Fawkner, Coburg, Heidelberg, St Albans, Deer Park, Maribyrnong, Moonee Ponds, Ascot Vale, Brunswick, Thornbury, Northcote, Fairfield, Preston, Ivanhoe, Bulleen, Templestowe, Doncaster, Brooklyn, Laverton, Footscray, Flemington, Yarraville, Fitzroy, Carlton, Clifton Hill, Abbotsford, Richmond, Hawthorn, Kew, Balwyn, Canterbury, Camberwell, Box Hill, Blackburn, Donvale, Nunawading, Mitcham, Altona, Williamstown, Newport, South Yarra, Toorak, Prahran, Armadale, St Kilda, Caulfield, Elwood, Malvern, Glen Iris, Burwood, Brighton, Elsternwick, Oakleigh, Chadstone, Sandringham, Moorabbin. including: Kyneton, Castlemaine, Maryborough, Lancefield, Gisborne, Sunbury, Bendigo, Heathcote, Woodend, Kilmore, Wallan, Broadford, Seymour. This includes Melton, Bacchus Marsh, Ballan, Werribee, Hoppers Crossing, Geelong, Norlane, Corio, Torquay, Anglesea, Portarlington, Queenscliff, Waurn Ponds, Bellarine, Indented Head, St Leonards, Ocean Grove, Barwon Heads, Winchelsea, Ballarat, Daylesford, Clunes, Ararat, Avoca. To minimise disruption to your workplace, we can test out of hours, either in the evening or weekend. This is particularly useful for tradies, call centres and factories. Tradies who carry their electrical tools with them have the option of dropping them off when they finish work in the afternoon either waiting or picking them up later. Contact us for the location of the drop-off point. We know you’re busy running your business and don’t have time to keep track of when testing and tagging is due so we keep track for you. We remind you about 2 weeks before the test tags expire so you can decide on a convenient time. We generally limit our repairs to replacing a damaged plug or cord. Repairs of internal components are best left to the manufacturer or one of their agents to ensure that the repair is carried out correctly and without compromising the quality or safety of the appliance.